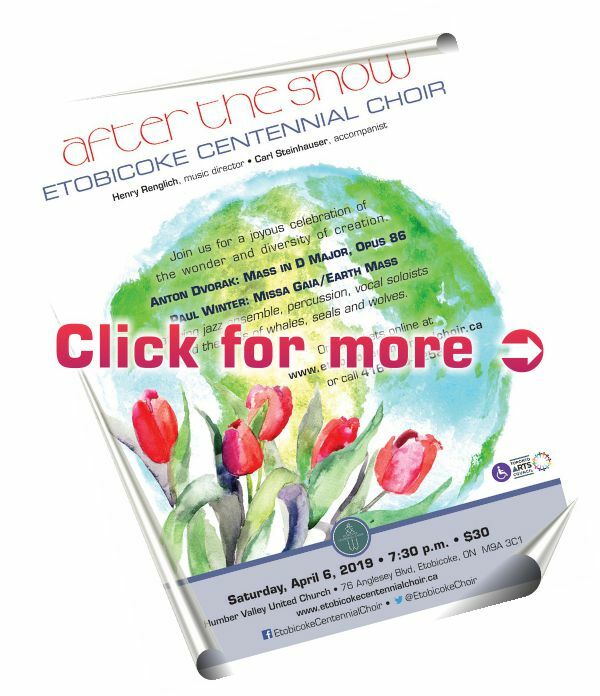 Etobicoke Centennial Choir (ECC) is an inclusive choir that welcomes choristers, audience members and volunteers from all walks of life, backgrounds, identities and experiences. We offer an opportunity to learn, celebrate and perform a diverse repertoire, ranging from classical masterpieces to contemporary compositions and popular music. Choral music fosters joy and a shared camaraderie when individuals join voices together in song. Etobicoke Centennial Choir (ECC) evolved from the massed choir assembled for Etobicoke’s official celebration of Canada’s Centennial in 1967. Now celebrating its fifty-second year, the choir continues to enrich the cultural life of Etobicoke by performing an annual three-concert series. The ECC also sings at a variety of community events around southern Ontario. 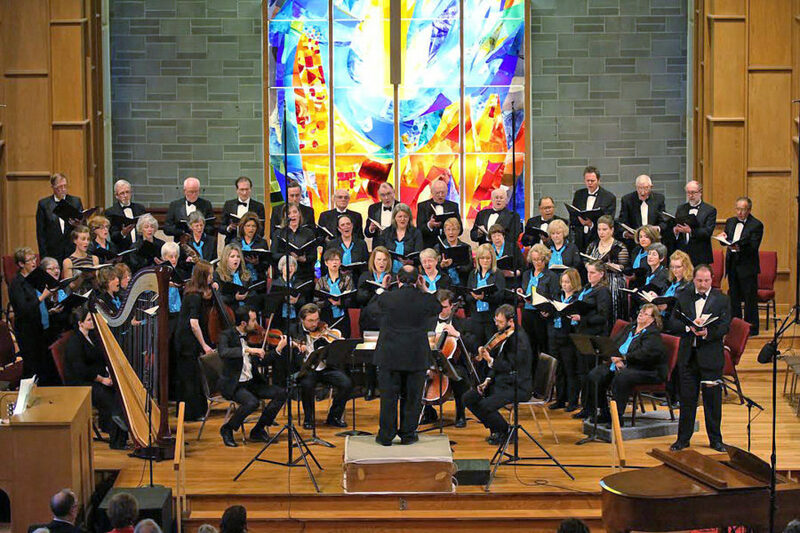 Members share a love of choral music and remain dedicated to the pursuit of choral excellence. If you would like to get in touch, please follow this link to our Contact Us page.